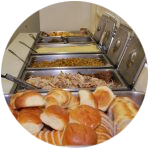 Our Soup Kitchen feeds dozens of people every day. Your donation will sponsor one meal for someone who may not have been able to eat that day. 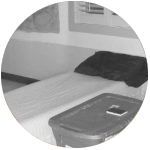 Our Men and Women's Shelters provide a warm nights sleep in a safe and accepting environment. Your donation will cover the cost of one night in our shelter for one individual. 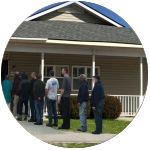 Hope Mission also offers Emergency Financial Assistance to individuals or families that have encountered hardship. Typically these are hard-working families that need a helping hand. Your sponsorship will help with rent or a paid utility bill. The ongoing costs associated with our charitable network can add up. A monthly/recurring donation will help our staff and volunteers continue to support our community by serving others with many hands and one heart. 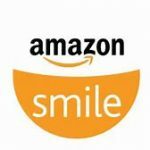 Did you know that you can help support Hope Mission just by shopping on Amazon? We have joined Amazon Smile. So if you are a frequent online shopper all you have to do is choose Hope Mission and a portion of your total purchase price comes to us. Financial contributions can easily be made online using your credit or debit card or PayPal account. 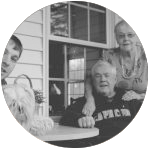 Every penny you donate to Hope Mission stays here in Carteret County helping your neighbors. We ask you to please call ahead with goods, services and financial donations to make sure that a manager is available to receive your donation and to issue a receipt for you. This also ensures that donations are recorded properly.